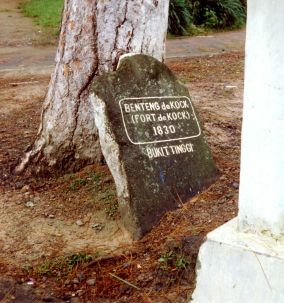 Now we are in the land of the Minangkabau with matrilineal system whereby heritage goes via the wife. The husband moves in with the wife’s family. Interesting is the combination of Islam, which is patriarchal, and the matrilineal system of the Minangkabau. 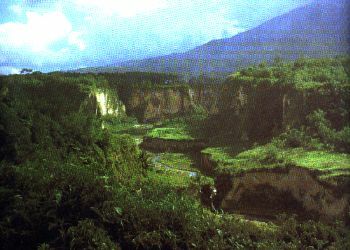 Bukittinggi is located high in the mountains and from here we can make beautiful excursions in the region, like to the Harau nature reserve, the Minangkabau palace in Pagaruyung and to lake Singkarak. Nearby Bukittinggi, is the small village of Pandai Sikat where the local people produce beautiful woodcarving and weaving textiles. On the other side of the deep valley Ngarai Sianok or ‘Karbouwengat’, besides Bukittinggi, is the picturesque village of Kota Gadang with many old houses where the people make fine silverworks. From here we can continue to one of the other highlights in West Sumatra, the mystical Lake Maninjau, around two hours drive from Kota Gadang. 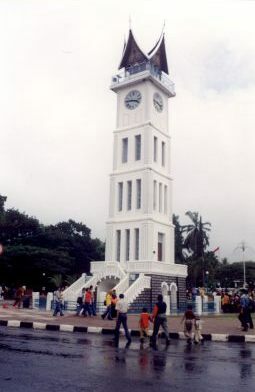 One of the landmarks of the city is the Bukittinggi Big Ben. 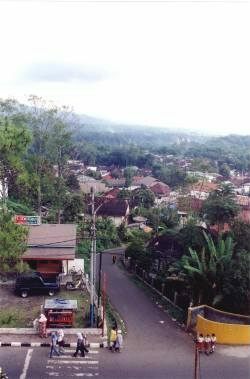 The friendly city in the beautiful Minangkabau highlands of West Sumatra is a pleasant place to stay for a few days. From here you can make nice trips in the environment like to the Harau nature reserve, the Pagaruyung Minangkabau palace and Lake Singkarak. Bukittinggi is one of the few cities on Sumatra where one can ride in a sado. 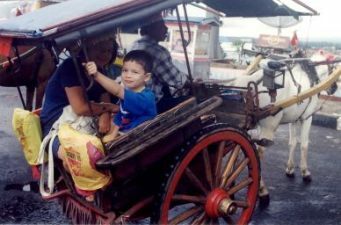 The horse carriage or sado (dos a dos or back to back) provide a colorful charming transportation through the town.